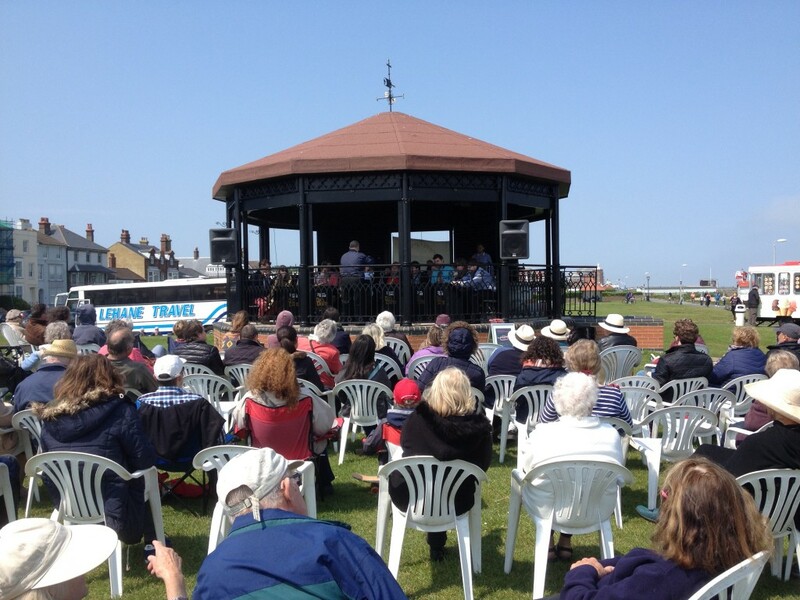 Summer Music Week | Music Matters | Because it does. Doesn't it ? 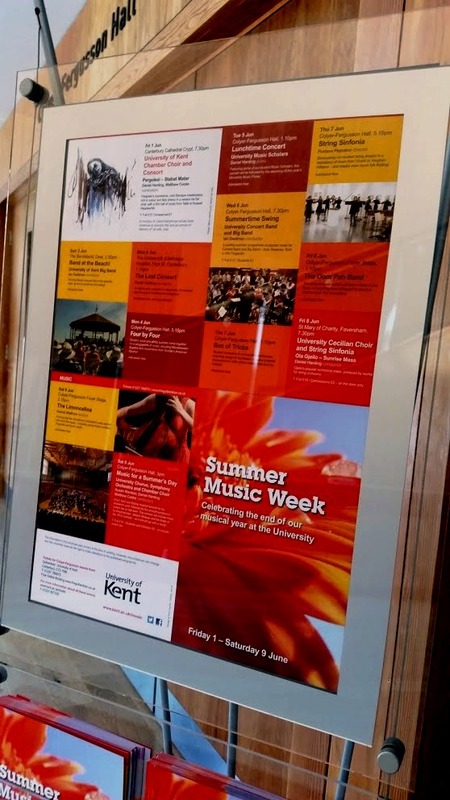 Our annual Summer Music Week series of events, bidding a lively musical farewell to the end of the academic year at the University of Kent. 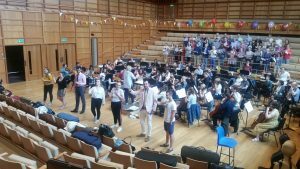 View the full gallery online here, below are just a few of the images capturing the atmosphere in rehearsal and performance throughout the week. 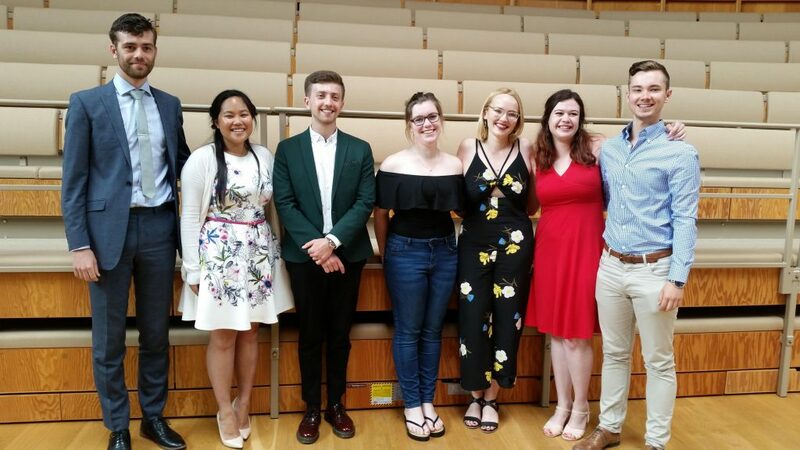 At the end of the academic year, it’s always a pleasure and a privilege to be able to recognise particular students for their outstanding contributions to music-making. 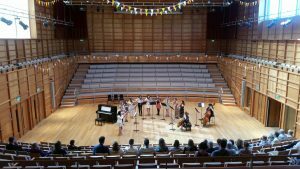 During Summer Music Week, a public presentation takes place in which to acknowledge their participation and involvement in music with a number of prizes, and the occasion on Tuesday 6 June followed the Scholars’ Lunchtime Recital as part of the week’s event. 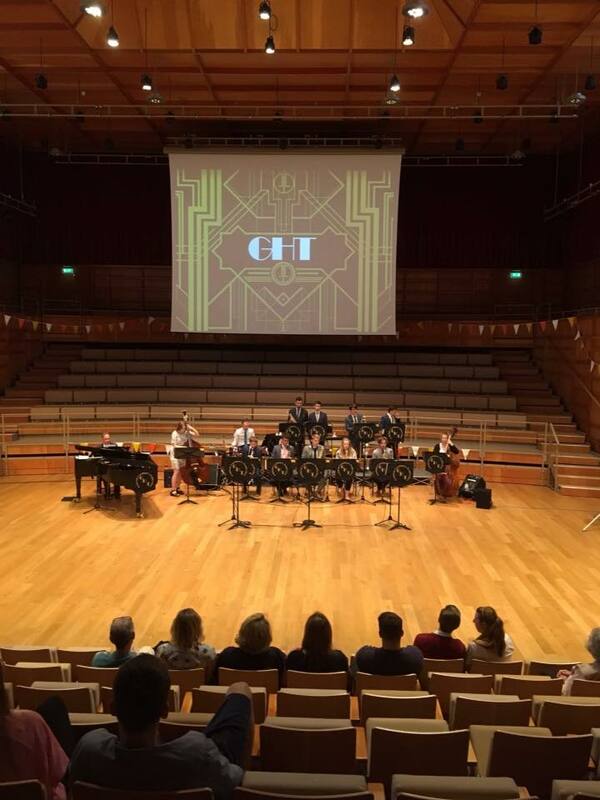 The Canterbury Festival Prize, presented by Festival Director Rosie Turner, awarded to to a final-year student who has made an outstanding contribution to music at the University, went to Jennifer Morgan, who has just finished reading French and Spanish. Jenn has been Principle double bass in Symphony Orchestra, bassist in Concert Band, star electric bassist for the Big Band, and our 1930s dance orchestra, General Harding’s Tomfoolery. 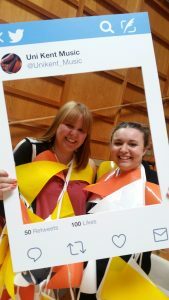 Throughout her final two years, Jenn was a Music Performance Award holder, and was Social Media Representative on the Music Society Committee this year. 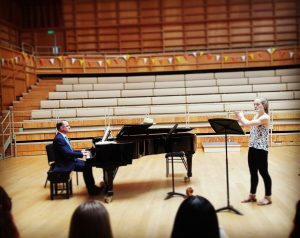 The Colyer-Fergusson Music Prize, awarded to a student who has made a major contribution to the organisation of music at the University, was presented jointly to Amy Poulter and Inger Kviseth. 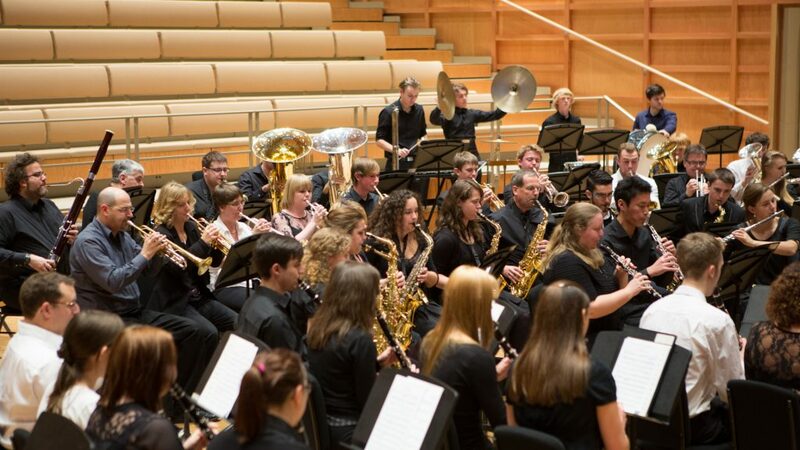 Amy is a final-year student reading Philosophy and English Language & Linguistics, and has been awarded the prize for her exceptional all-round behind-the-scenes organising and admin skills as Concert Band and Big Band Assistant, in which she plays alto saxophone. 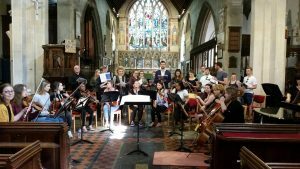 This involved liaising with the conductor, Ian Swatman, helping to set-up rehearsals and co-ordinating, circulating and collecting all the many sheets of music which go into the instruments folders (a somewhat arduous and thankless task – especially when they go missing!) 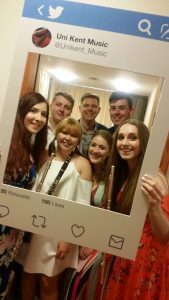 She also had the mammoth task of running this year’s student battle-of-the bands event, Keynestock, in her capacity as College President. 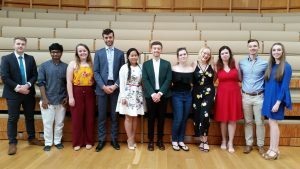 A final-year student reading Conflict, Peace and Security, Inger’s award recognised her role as Chamber Choir Assistant and Minerva Voices Assistant. 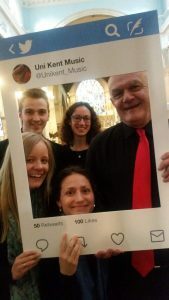 She managed the running and the choral library for both choirs during this year, liaised with the choir members about rehearsals and performances and organised the catering during workshop days (which, as anyone who has ever worked with musicians will know, was very important!). She also organised a fund-raising carol-singing afternoon in aid of Cancer Research UK on a very cold December day. 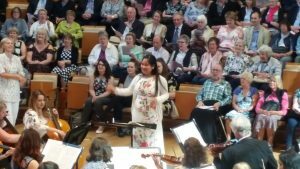 Her quiet, proactive efficiency has been a crucial part of the success of both choirs this year. 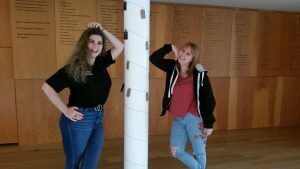 Both students received their awards from the former Chair of the Colyer-Fergusson Charitable Trust, the Honourable Jonathan Monckton. 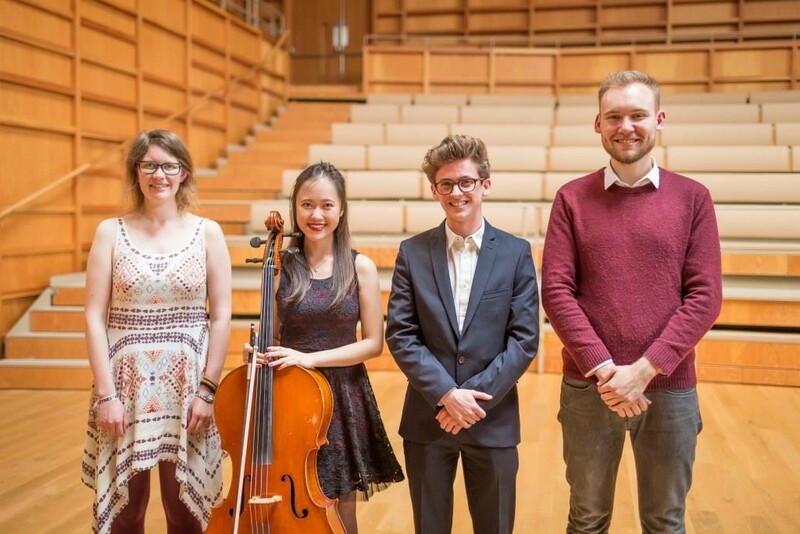 The John Craven Music Prize, awarded to a returning student who has a made a major contribution to music at the University this year, was awarded jointly to Lydia Cheng and Jasper Rose. 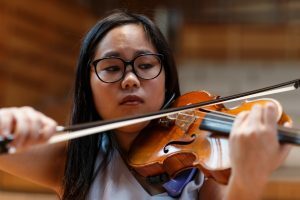 In her second year reading Law, Lydia is a wonderfully talented violinist – indeed, she turned down music scholarships to both Berkeley and McGill in order to come to Kent. 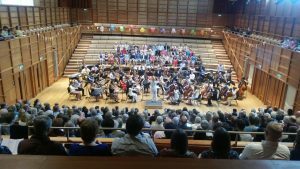 Such is her commitment and talent that she was given the sole responsibility as leader of the Symphony Orchestra in the cathedral concert this year. 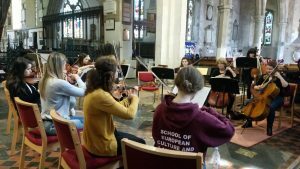 She also plays in the String Sinfonia and gave a public lunchtime concert last term as part of a piano trio exploring the world of the tango. 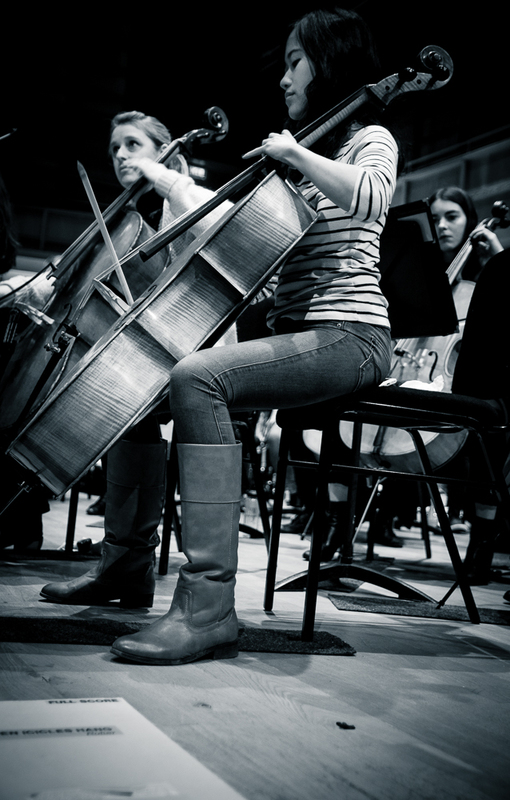 She is a Music Performance Scholar and is one of the Symphony Orchestra Assistants. 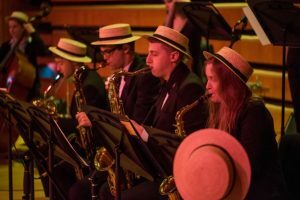 Jasper is a second-year reading Criminal Justice and Criminology on our Medway campus, and trombonist who features prominently in both the Concert and Big Bands, as well as the Symphony Orchestra. 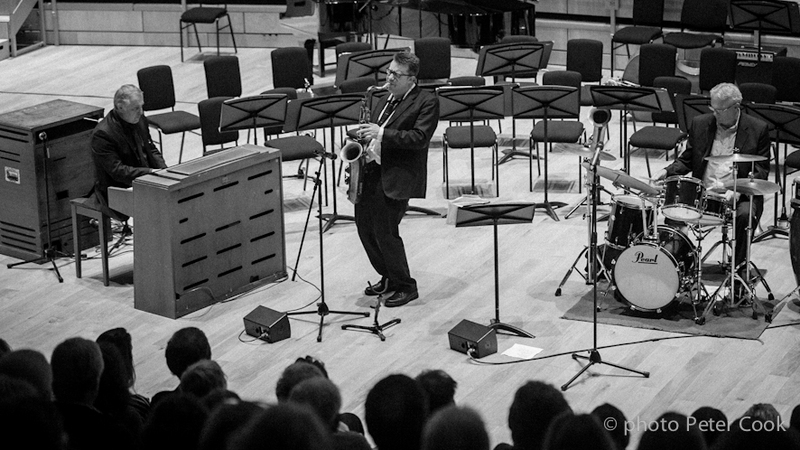 Jasper also plays in the National Youth Jazz Orchestra and is a Music Performance Scholar. 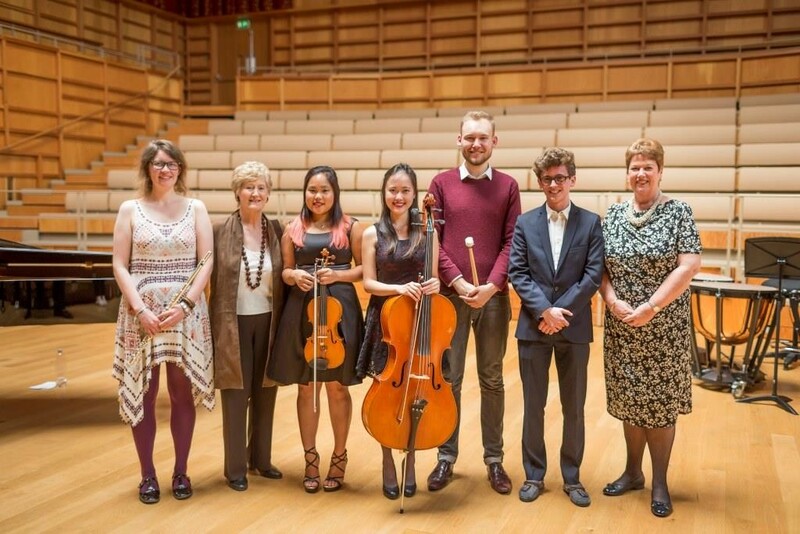 The students received their prizes from Patron of the Music Scholarships, Dame Anne Evans. 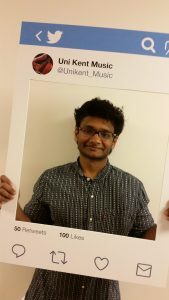 Where appropriate, the Music Awards Committee can also award the First-Year Prize, to a student who has made a significant contribution to music-making during their first year of study. 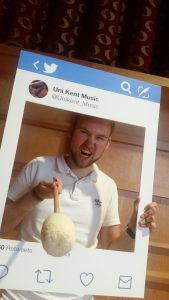 This year, the award went to Tom Wust, reading Business and Management on our Medway campus. 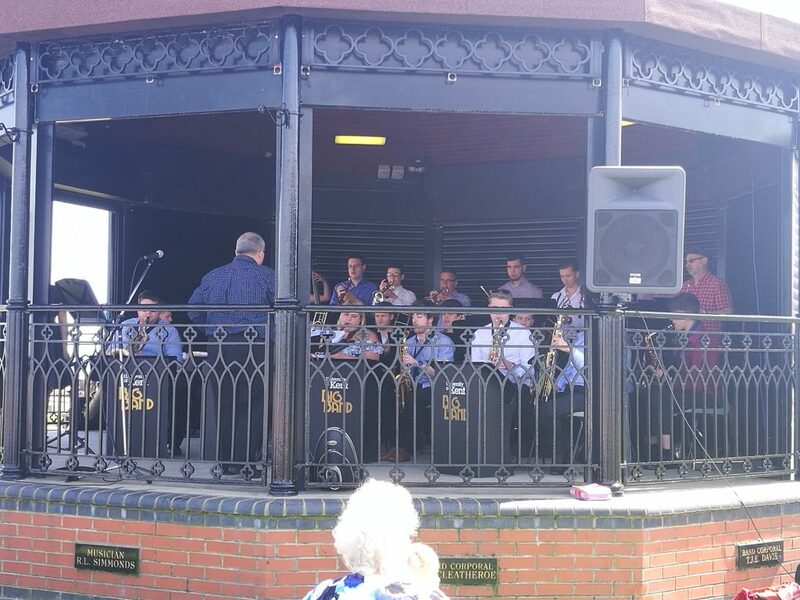 Tom is Co-principal clarinet in the Symphony Orchestra and in Concert Band, and tenor sax in Big Band and General Harding’s Tomfoolery. 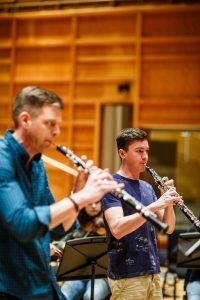 Tom is a Music Performance Scholar, and demonstrated his prowess in the Music Scholars’ concert with two movements from the fiendish Clarinet Sonata by Joseph Horovitz. Tom’s award was presented by Professor April McMahon. 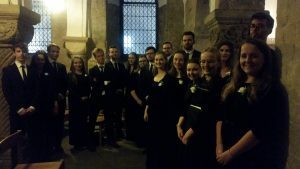 This year, we were pleased to be able to award the cumbersomely-titled yet no less important Music Awards Committee Prize renamed as the David Humphreys Music Prize, in memory of David who was a terrific supporter of music at the University, and whose fund in memory of his wife, Julia, continues to support the annual Crypt Concert by the University Chamber Choir. 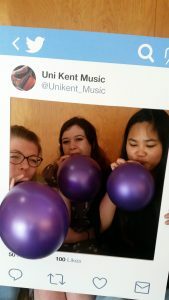 The award recognises students who have made a special contribution to music at Kent, and this was awarded to three students jointly: Jonathan Butten, Faith Chan and Cory Adams. 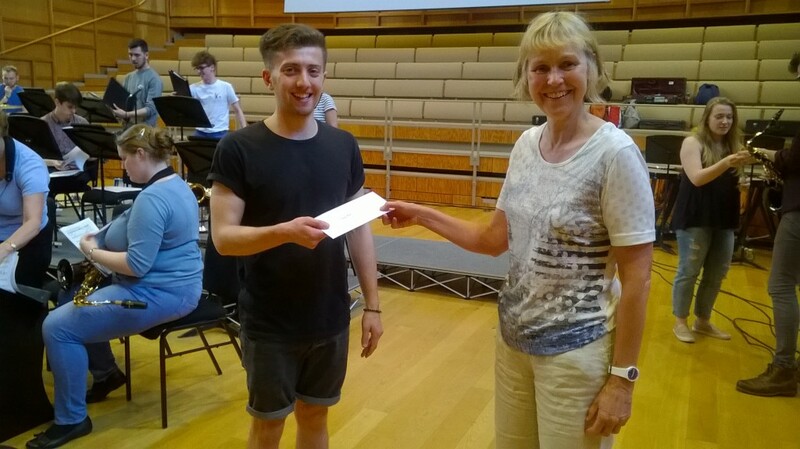 Jonathan is a final -year student, reading Biomedical Sciences, and the prize was awarded for his outstanding contribution as Principal oboe and cor anglais in the Symphony Orchestra. 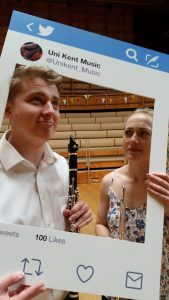 Jonathan has been a remarkable woodwind player, performing in lunchtime concerts, and has been a University Music Performance Scholar, and this year acting as one of the Symphony Orchestra Assistants. 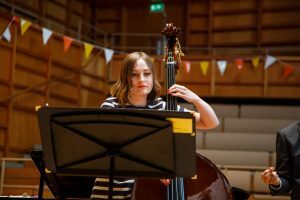 In her final year reading Law, Faith received her prize for her special contribution to University Music as a cellist. 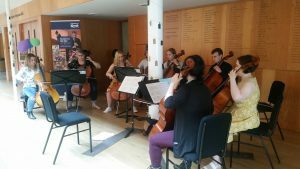 She is principal cellist in the Symphony Orchestra and Sinfonia and gave a public lunchtime concert last term with the Piazzolla piano trio. 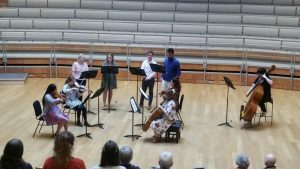 Her versatility meant she has also been a very fine continuo player, featuring in Baroque concerts and lunchtime performances over the course of her time at Kent. 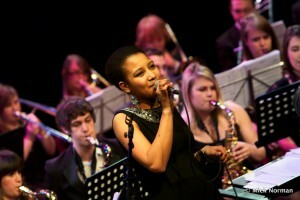 She is a Music Performance Scholar, and has also been one of the Symphony Orchestra Assistants. 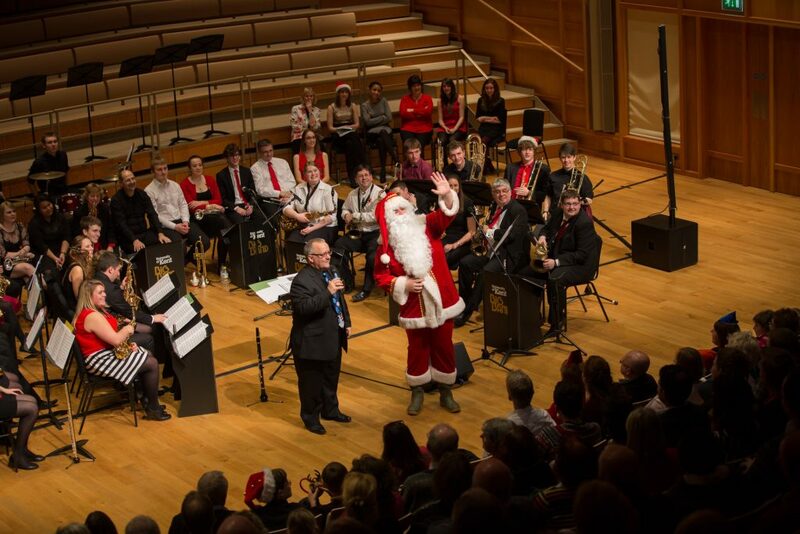 Cory is Masters student reading Hispanic and Comparative Literature; he has been Principal timpanist and percussionist in Symphony Orchestra, and kit and percussion in Concert Band, Big Band and General Harding’s Tomfoolery. 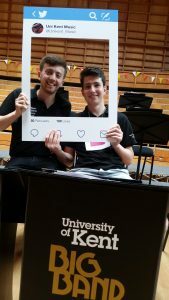 He is a University Music Performance Scholar and has just finished impressively organising (and exhausting!) 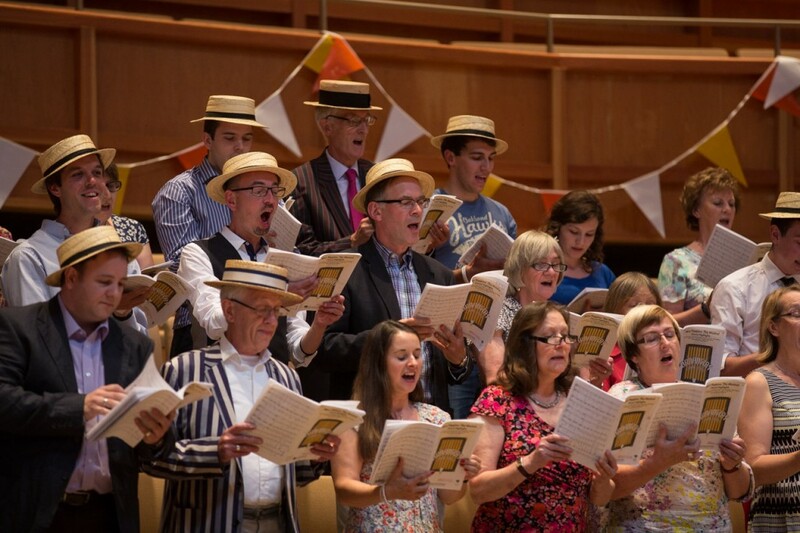 everyone in his capacity as President of the Music Society. 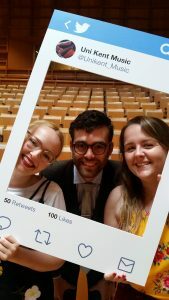 The three students received their prize from Chair of the Music Awards Committee and Reader in Biosciences, Dr Dan Lloyd. 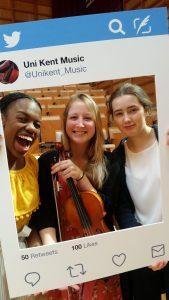 Music-making at Kent, as an extra-curricular activity, really does rely on the participation, commitment and enthusiasm of all the many students (and staff) who take part in rehearsals and performances on top of their studies during the academic year. 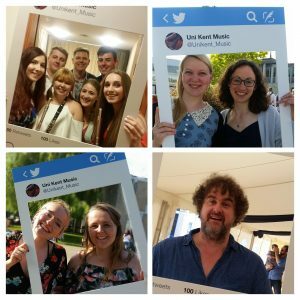 The awards ceremony during Summer Music Week is an opportunity publically to recognise and to thank a few individuals for all that they contributed during their time at the University; our congratulations to everyone on their awards, and our gratitude for the part they have played in making the musical year at the University such a success. 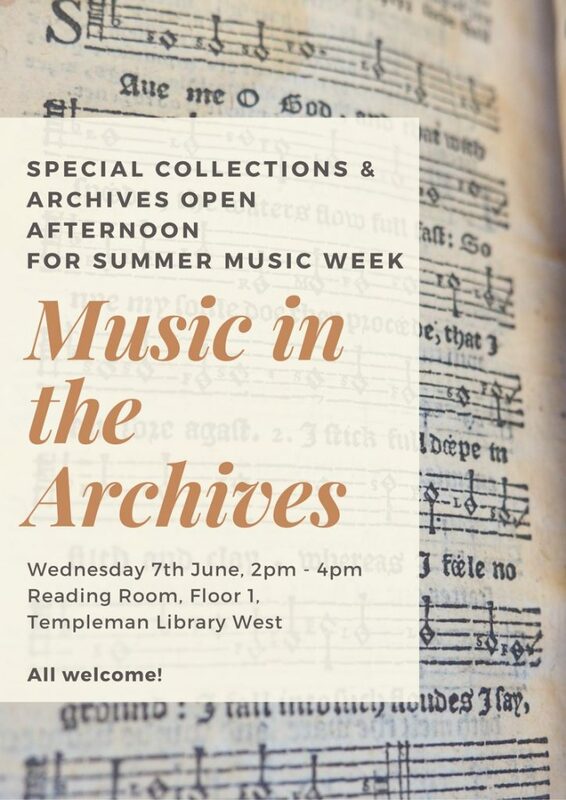 With Summer Music Week set to launch this Sunday, we’re delighted to reveal that our colleagues over in Special Collections and Archives will be holding an open afternoon of music-related archive and rare materials as part of the festival on Wednesday 7 June in the Templeman Library. 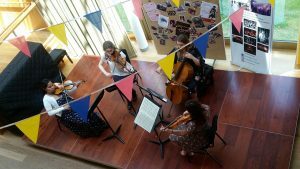 To complement Summer Music Week, Special Collections & Archives invites you to learn more about how music is represented, recorded and explored through its collections between 2-4pm that day. 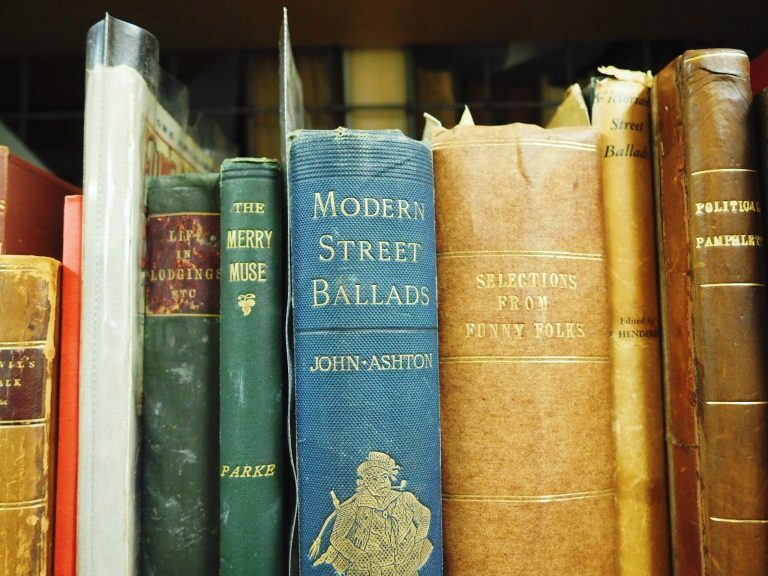 Visitors will be able to view a wide range of material including items from the John Crow Ballad and Song Collection, rare books from the Pre-1700 Collection, artwork held in the British Cartoon Archive, and alternative cabaret performances found in the British Stand-Up Comedy Archive, and much more. 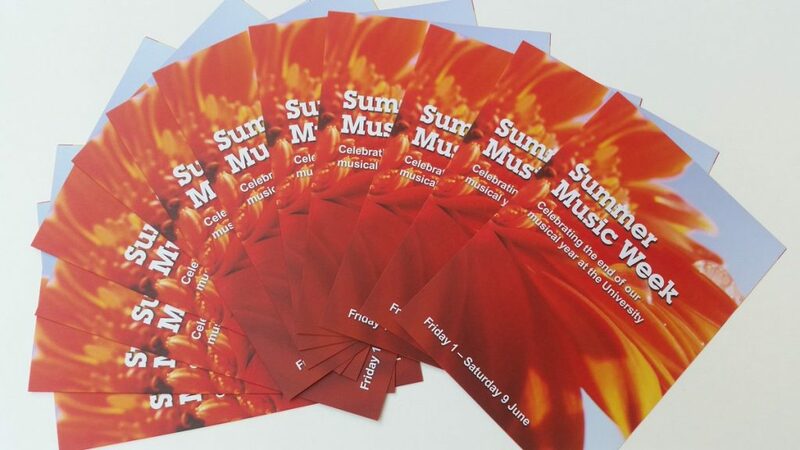 You don’t need to book, just drop in on the day; we are hugely grateful to Joanna Baines, Senior Assistant in Special Collections and Archives, for putting this all together, a terrific enhancement as Summer Music Week unfurls next week. 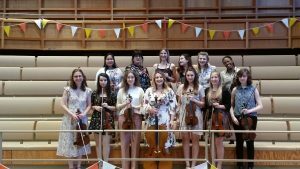 One of the highlights of Summer Music Week is being able to recognise the outstanding contributions made by several students to music-making over the course of the year at the annual Music Awards ceremony. 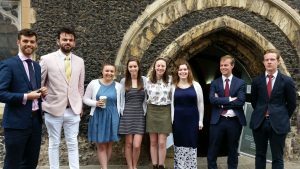 The Canterbury Festival Prize, which is awarded to a final-year student who has made an outstanding contribution to music at the University was this year awarded jointly to Music Performance Scholars Cory Adams and Anne Engels. 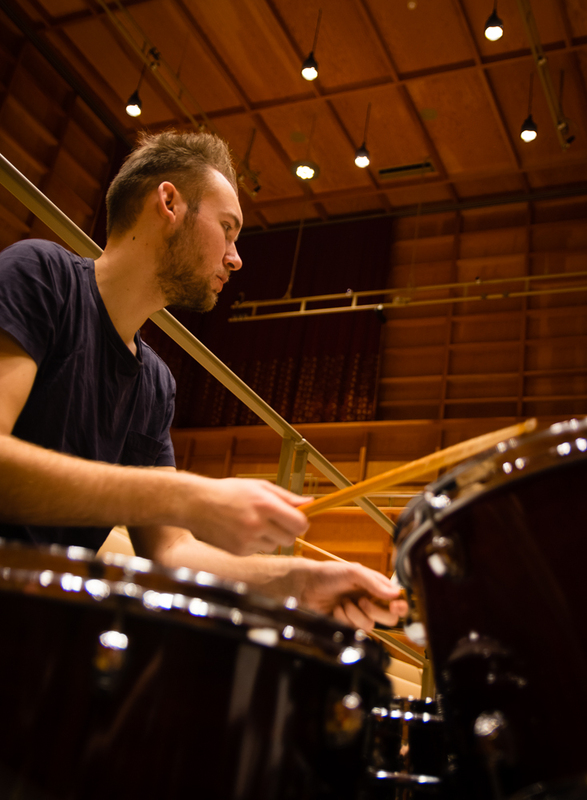 Hispanic Studies student Cory has been principal timpanist with the Symphony Orchestra, one of four players in a performance of Berlioz’s Symphonie fantastique back in March, and has also been kit and percussion player with the Concert and Big Bands. 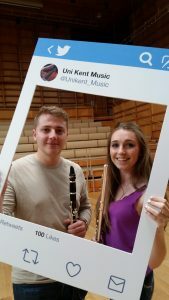 Anne, studying English and American Literature and Philosophy, has played principal flute in the Symphony Orchestra and Concert Band, a member of the Flute Choir and was the featured soloist in a Harry Potter-themed lunchtime concert earlier this year. 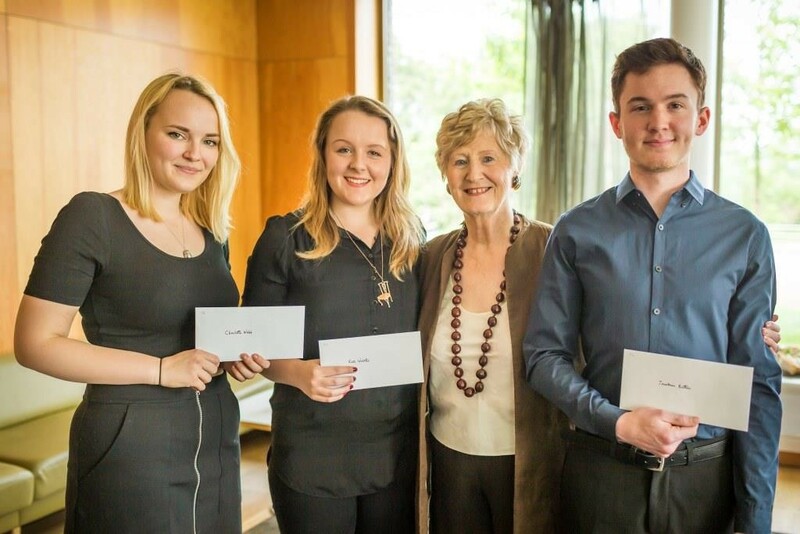 Both students received their awards from the Director of the Canterbury Festival, Rosie Turner. 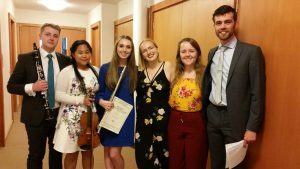 The Colyer-Fergusson Music Prize, awarded to a student who has made a major contribution to organising music at the University, was awarded to India Bottomley, for her exceptional all-round, behind-the-scenes, kitchen-sink skills in administration and organisation as Chorus Manager. 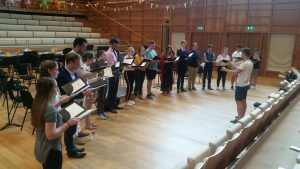 Having completed her degree in American Studies, India has already started employment in London, so we were especially delighted to be able to spring her award on her on the final day of Summer Music Week, when she came back to sing with the Cecilian Choir and Chorus. 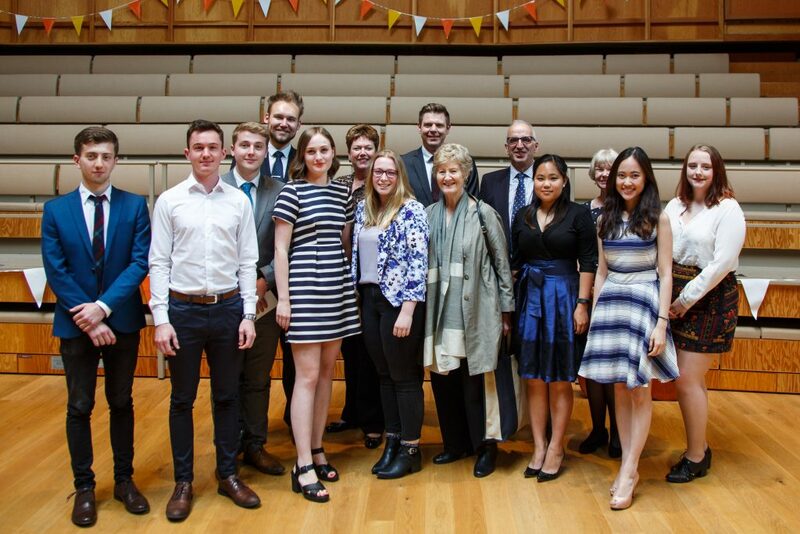 Patron of the Music Scholarship Scheme, Dame Anne Evans, was present to award the John Craven Music Prize, which goes to a returning student who has made a major contribution to music at Kent. 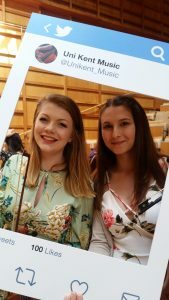 The prize was awarded jointly to Music Performance Scholars Charlotte Webb and Ruth Webster. 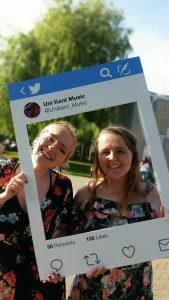 It’s fitting that they should both be receiving this prize – both are Music Performance Singing Scholars and both in their second year, reading Biomedical Science. 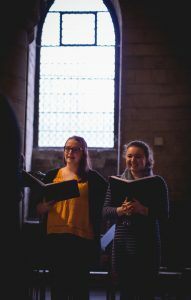 Both students have this year sung in the University Chorus, Minerva Voices and Cecilian Choir, featuring prominently as soloists throughout this year in major concerts in music by Handel, Lully and Vivaldi. 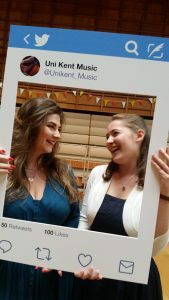 Charlotte also plays trumpet in the Symphony Orchestra and Ruth is a member of the Musical Theatre Society show choir. 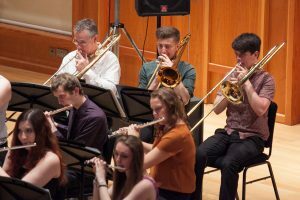 The First-Year Prize went to trombonist and Music Performance Scholar, Jasper Rose, in recognition of someone who has made a significant contribution to music during their first year at the University. 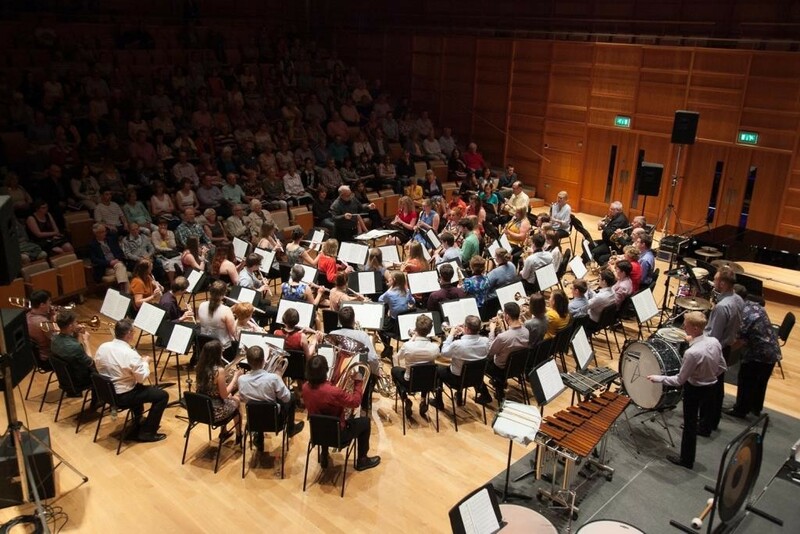 Reading Criminal Law on the Medway campus,Jasper has played in the Symphony Orchestra, the Concert Band, and has been the featured trombone-player in the Big Band this year. 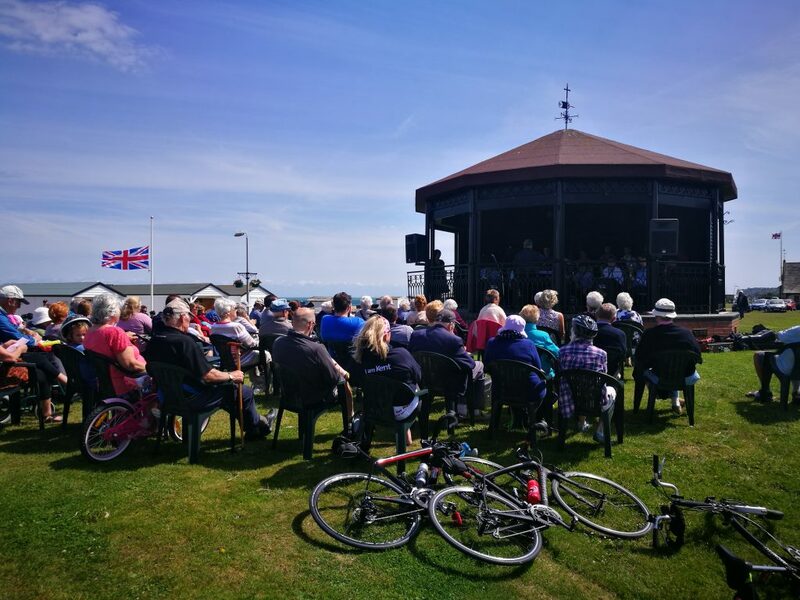 Jasper was unwell on the day of the ceremony, so again a lighting-strike presentation was unleashed at the rehearsal for the Concert and Big Band gala the following day; Jasper received his prize from the Director of Music, Susan Wanless. The remarkably cumbersomely-titled (but no less valuable, for all that!) 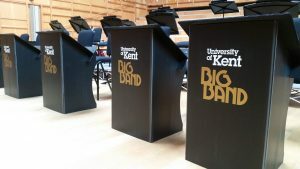 University Music Awards Committee Prize, for a student who has made a special contribution to music, ended up being a three-way split – the Committee has the unenviable task of allotting the prizes, and it’s often difficult to choose between nominees – between second-year woodwind player, Jonathan Butten, second-year cellist Faith Chan and final-year trumpeter and conductor, Joe Prescott. 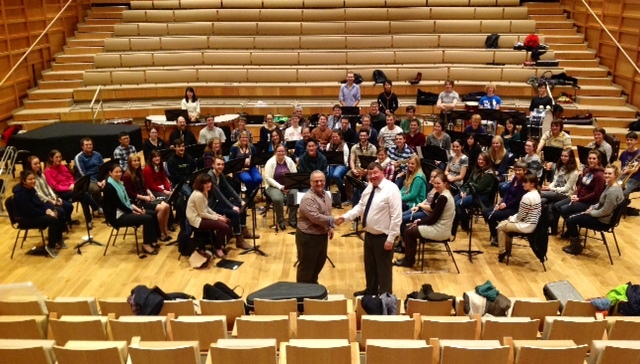 Each student is a Music Performance Scholar, and has in their way made a particularly valuable contribution – Jonathan (reading Biomedical Science) is principal oboist in the Symphony Orchestra, but the award was given to acknowledge his exceptional cor anglais playing in Symphonie fantastique in the Cathedral Concert, and as oboe soloist in concerts with the String Sinfonia in concerti by Vivaldi. 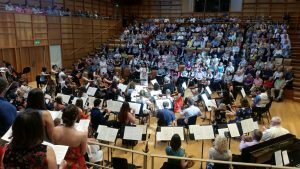 A Law-reading cellist with the Symphony Orchestra and String Sinfonia, Faith’s prize recognises her immense skill as the solo continuo player in major performances of Baroque repertoire this year. 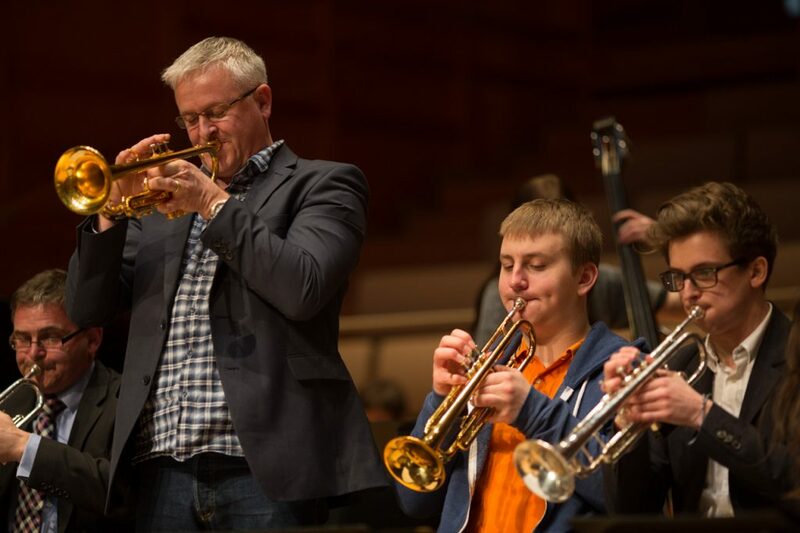 Joe’s award is in honour of his contribution across so many areas of music – playing trumpet with the Concert and Big Band, his role as student conductor of Minerva Voices, and as Music Director for Musical Theatre Society showcases and productions. 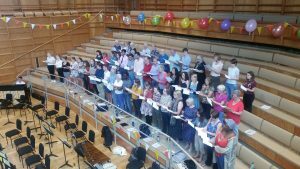 He has also sung with Chorus, Cecilian Choir and Chamber Choir, and is the outgoing President of the Music Society this year. 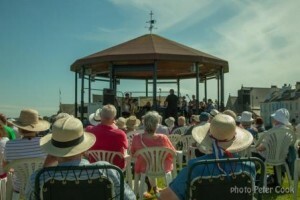 He also played the Last Post for the annual Remembrance Day gathering. 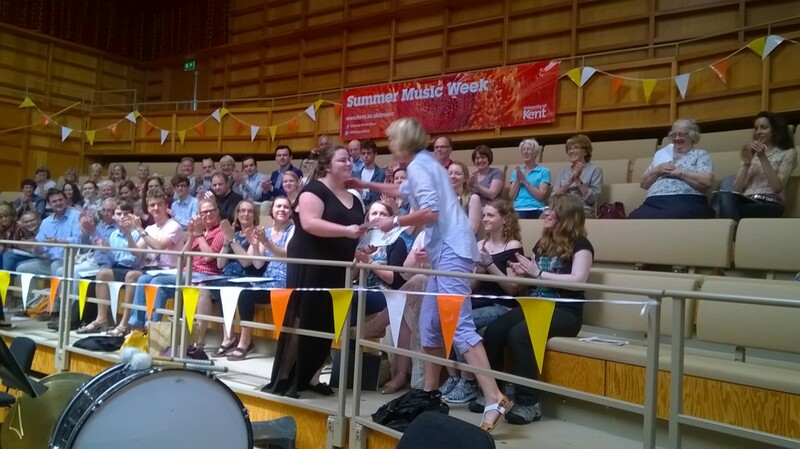 The prizes were presented by Chair of the Music Award Committe, Dr Dan Lloyd, and Dame Anne Evans. As host of the ceremony, Dan Lloyd, remarked, the prospect of yet another committee meeting isn’t necessarily one to lighten the spirit, but the annual convergence of the Music Awards Committee is one that is all about celebrating student success, recognising their achievements and the impact of their music-making throughout the year. This year has been a particularly fine one; many congratulations to the winners.